The music of Blaze Foley serves as counterpoint to the life of Blaze Foley. And, yet, the two intertwine under the pens of Foley’s widow, Sybil Rosen, and Ethan Hawke, the director of “Blaze.” Hawke’s feature film about the life of musician Blaze Foley is sweet and slow, downbeat and deliberate. Foley introduces his music at the mic at length, is drunk and disorderly, and is killed in 1989. He is brought to life by Ben Dickey, who infuses latent energy into Foley’s laconic, limping stride. Josh Hamilton plays Zee with sympathy, Charlie Sexton plays Van Zandt, and Alia Shawkat portrays the wife, Sybil, true to that prophetic name. Hawke’s direction moves “Blaze” caressingly. By going back and forth among the interview, the romance, the gigs; by layering the edges of scenes with the words of music and the moans of intimacies, Hawke makes “Blaze” a study. “If you really want to write a song, you have to live that song,” Blaze writes. 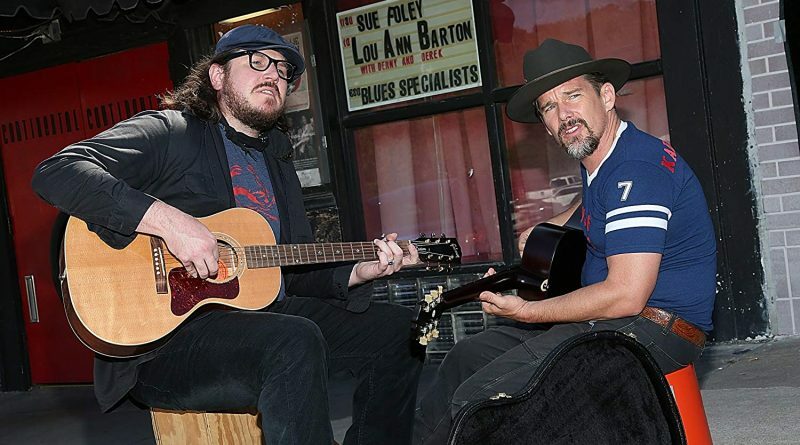 Ethan Hawke makes Blaze Foley’s life sing this ballad.